Like many states, Maryland has experienced more frequent and severe weather events, leading to an increase in grid interruptions, economic disruption and issues around life safety. Ice storms, derechos, severe thunderstorms and the occasional polar vortex, coupled with concerns around cyber security, terrorism and climate change have led public leaders in Maryland to advance microgrid deployment as a strategy to reduce emissions, strengthen resiliency and enhance sustainability. Montgomery County, the most populous county in the state, is leading the way in microgrid deployment with innovative “microgrid as a service” projects for its Public Safety Headquarters and County Corrections Center. Supported in part by funding from the Maryland Energy Administration (MEA), these microgrids are intended to improve the resiliency of government operations, reduce greenhouse gas emissions, upgrade existing aging electrical infrastructure without capital expenditure, and control energy costs. The mission of the Maryland Energy Administration (MEA) is to promote affordable, reliable and cleaner energy. MEA has long supported cost-effective distributed energy generation, including microgrids, through grant programs, incentives and advocacy to help achieve the mission while enhancing resiliency across the state. In 2014, the MEA launched its combined heat and power (CHP) grant program which has funded 44 grants to date representing over 63MW of new generation serving Maryland’s critical infrastructure facilities. Also in 2014, MEA issued its Resiliency Through Microgrids Task Force Report which looked to technology and regulatory solutions that could serve several customers across multiple properties and encouraged development of “public-purpose” microgrids as part of a long-range, holistic vision for the state. The task force concluded that utility-owned and -operated microgrids are in the policy interest of Maryland and are practicable under current law, which supports development and further regulatory approval. Moreover, the task force provided sample policy outlines for use in authorizing third-party public-purpose microgrids, operated by local governments and private developers, with an eye toward spurring greater investment, innovation and ensuring consumer protection. Montgomery County has finalized construction of microgrids at two of its most critical facilities: the Public Safety Headquarters (PSHQ) in Gaithersburg and the Montgomery County Correctional Facility (MCCF) in Boyds. Commissioned in summer 2018, both projects feature microgrids based on CHP systems and incorporate solar energy. The Public Safety Headquarters is the county’s primary administrative hub for a range of critical public services, housing much of Montgomery County’s transportation management resources, segments of the county’s Office of Emergency Management and Homeland Security, Fire and Rescue Service headquarters and a police station serving the central part of the county. This facility – the county’s largest at nearly 400,000 sq ft – and its surrounding campus is a long-term investment for Montgomery County. 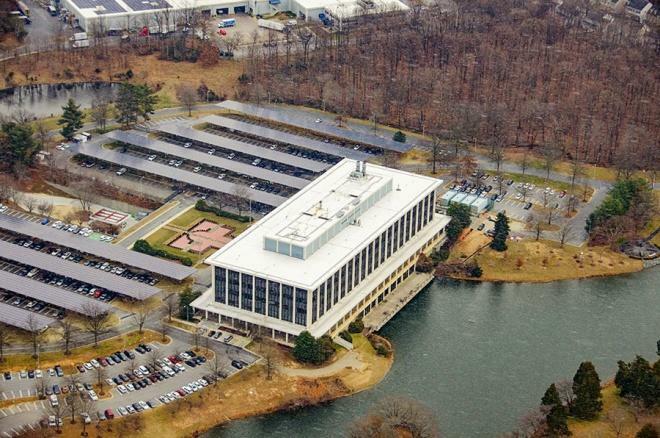 Montgomery County’s Public Safety Headquarters is the site of a microgrid project capable of generating 11.4 million kWh of clean, low-emissions energy. Office of Energy and Sustainability, Montgomery County, Md. Recognizing the need to upgrade the nearly 50-year-old building’s original electrical infrastructure, Montgomery County identified a microgrid as the ideal option to address the aging infrastructure, while improving resiliency, containing costs and reducing emissions. Through a competitive process, Montgomery County ultimately selected Schneider Electric as the energy performance contractor that would construct and maintain the microgrid project and Duke Energy Renewables as the owner and operator of the microgrid components sited within and around the facility. REC Solar was chosen to construct the solar canopies designed as part of the project. From the beginning, the county required potential vendors to provide a fully functional microgrid on a “service” arrangement whereby the county paid for the benefits of the project – signaling its intent to enter into a public-private partnership, as opposed to a more traditional capital investment. The county ultimately awarded the project by expanding a power purchase agreement (PPA) template into a “microgrid-as-a-service” contract that it developed to support earlier solar projects. This 25-year microgrid-as-a-service PPA allowed the county to pay for the project by purchasing the availability of equipment and the energy generated, rather than buying the microgrid system outright – leveraging the utility operating budget to support the project costs without competing with other county needs. The Public Safety Headquarters microgrid incorporates nearly 2 MWdc of canopy-mounted solar energy capacity, providing shade to cars while powering the facility. The facility benefits from Maryland’s aggregate net energy metering policy, which allows government organizations to credit excess generation to other facilities and receive a retail credit for each kilowatt-hour generated. A new 865 kW CHP system replaced two existing generators providing baseload energy supply to the facility. The CHP system produces hot water to heat the building and domestic hot water as well as for use in an absorption chiller that supplements existing building chillers. Collectively, the PSHQ microgrid system can generate 11.4 million kWh annually, providing an estimated 90 percent to 95 percent of the facility’s annual electricity consumption and extensive backup capacity with minor operational adjustments. Should the grid go down, the system can sustain itself in island mode. It will reduce county greenhouse gas emissions by over 3,000 metric tons annually, equivalent to taking 680 cars off the road. The PSHQ project is also one of the first of its kind certified under the Green Business Certification Inc.‘s (GBCI) Performance Excellence in Energy Renewal (PEER) rating system – the power system corollary to the U.S. Green Building Council’s Leadership in Energy and Environmental Design (LEED) green building rating system, also administered by GBCI. The PSHQ project is one of the first of its kind certified under the GBCI’s Performance Excellence in Energy Renewal rating system. The county also incorporated a direct current electric vehicle fast charger and additional Level II chargers that will be powered by the microgrid and can continue providing charging services when the overall utility grid is down. The county was able to avoid approximately $4 million of urgent facility investment by incorporating it into the public-private partnership agreement. 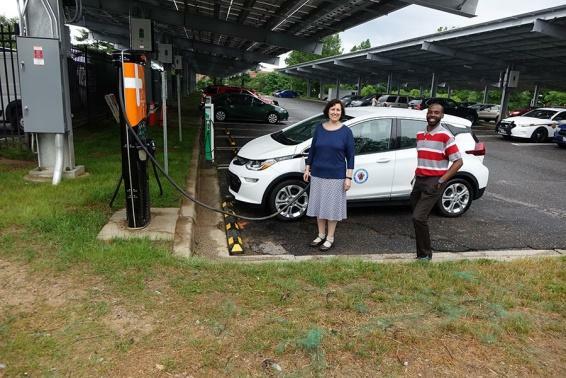 With a grant from the Maryland Energy Administration, the PSHQ project incorporated its first fast-charge electric vehicle, supplied by the microgrid. 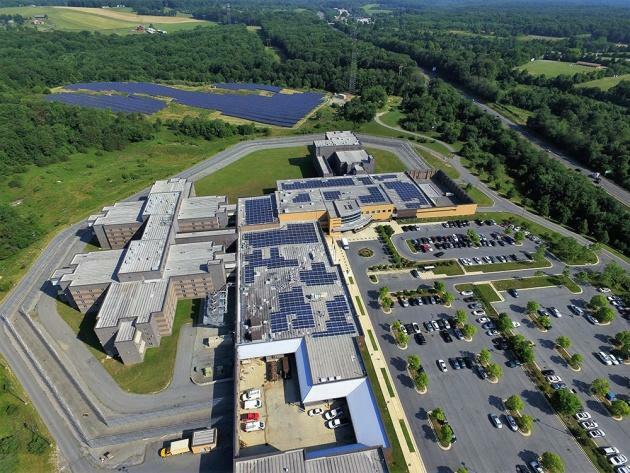 The Montgomery County Correctional Facility (MCCF) in Boyds, near Clarksburg, is the site of the county’s second microgrid project, also financed via “microgrid as a service” PPA. This facility is responsible for the custody and care of approximately 1,000 inmates. The MCCF microgrid project expands the facility’s power generation capabilities by adding a 220 kW CHP system to its existing generators, also producing hot water used on-site for space heating and potable water heating. The CHP system combined with 2.8 MWdc of on-site solar energy capacity installed under another initiative enables the correctional facility to generate 60 percent to 65 percent of its electricity on-site. During an emergency, it benefits from advanced controls that enable it to separate from the utility grid and utilize the CHP and existing generators to operate in island mode. The Montgomery County Correctional Facility. Both the Public Safety Headquarters and the Montgomery County Correctional Facility microgrid projects leveraged utility incentives – provided by the Potomac Electric Power Co. (Pepco), and Potomac Edison – to support installation of the CHP systems on site. The support and engagement of Pepco and Potomac Edison were critical in helping to facilitate approval of the interconnection of both microgrids. Pepco worked closely with the county to implement temporary utility connections, enabling PSHQ to function with minimal disruption while the primary electrical gear upgraded. As technologies advance and costs decrease, the county expects to consider implementing microgrids at other mission-critical facilities such as police stations, fire stations and county buildings. Montgomery County is currently working with utilities, municipalities and other jurisdictions, and state agencies such as MEA to expand microgrid activities. One project in the works is a collaboration with Pepco to plan a public-purpose microgrid in Rockville, MD, one of two microgrids Pepco was required to propose as part of a Maryland Public Service Commission order in the merger of Pepco and Exelon. The Public Service Commission has also launched the Transforming Maryland’s Electric Grid initiative– a review of electric distribution systems in Maryland with the stated goal of “ensuring that Maryland’s electric grid is customer-centered, affordable, reliable and environmentally sustainable.” This initiative includes discussing efforts to improve renewables integration into the grid, expanding infrastructure for charging electric vehicles, improving the valuation of storage, and other technologies and policies that will benefit microgrid development. Ultimately, there is substantial potential for microgrids to become a larger part of the energy, emergency management and economic development mix of Maryland. Registered attendees at the Microgrid 2.0 conference in Baltimore October 29-31 will be able to tour the Public Safety Headquarters microgrid and learn first-hand about the development cycle, financing strategies, and technology applications. In addition, FERC Commissioner Cheryl A. LaFleur will provide the keynote luncheon address on October 29, sharing her views on topics such as resiliency, grid modernization, infrastructure and other issues of interest. 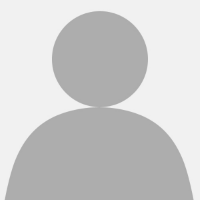 For more information on Microgrid 2.0, please visit www.microgridresources.com. * This article is based on a larger article co-written by Rory Spangler, Maryland Energy Administration and Eric Coffman, Office of Energy & Sustainability at Montgomery County, MD for the 2018 third quarter edition of District Energy magazine, available for download here.